Encouraging personal success through balance and inner reflection, the innovative four-volume Experience Personal Power series offers practical advice, guides, and activities for cultivating a healthy, balanced lifestyle. Experience Mindfulness focuses on achieving awareness, patience, and calm. 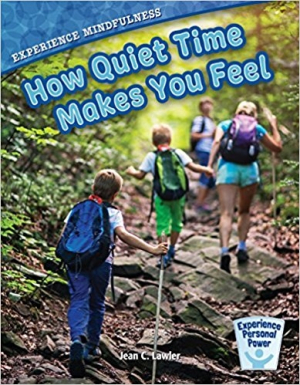 This title is perfect for sharing with children of all ages—or for exploring alone, when you’re feeling overwhelmed, stressed out, or just in need of a little quiet reflection in order to recharge and appreciate the world around you and the people in it.